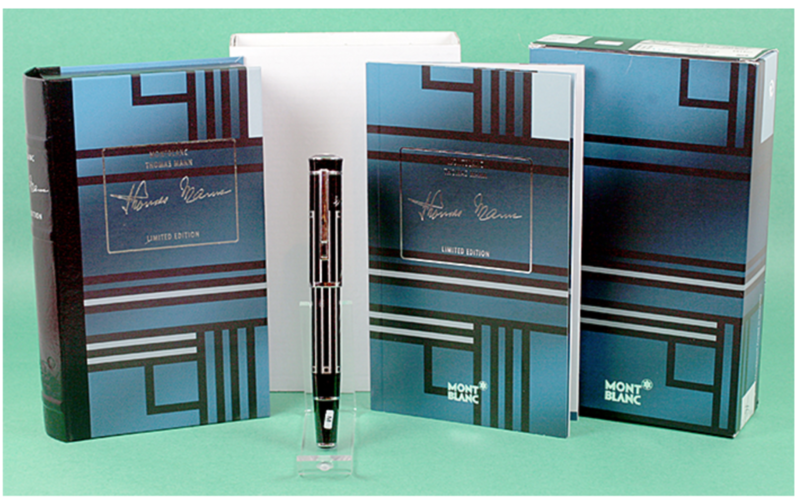 This is a Montblanc 2009 Thomas Mann limited edition piston-filler with a multi-layered Platinum inlay on Black Lacquer. 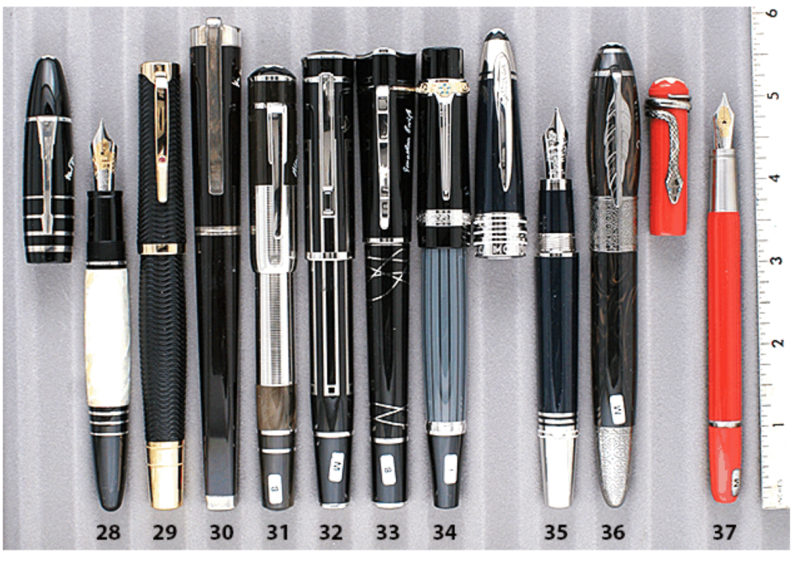 Features a Medium nib. New-old-stock. Mint in original box with barrel nib size label, papers, outer box and outer sleeve. Item #32 in Catalog #85.